I do visual projections for a local band, and whilst some of the gig involves mixing and skipping around video parts in time to the music, a lot of it is just hitting play at a certain time, and doing a crossfade from the band logo screen.. i don't want to make myself redundant, but it felt like a fun project to have a self-contained box that does all of this without having to have a laptop and cables all over the shop. just a stomp box onstage that plugs straight into the projector that can be easily set up beforehand by dropping files onto a network share. basically a posh powerpoint controller that a singer can stamp on, instead of holding a controller hooked up to a laptop. 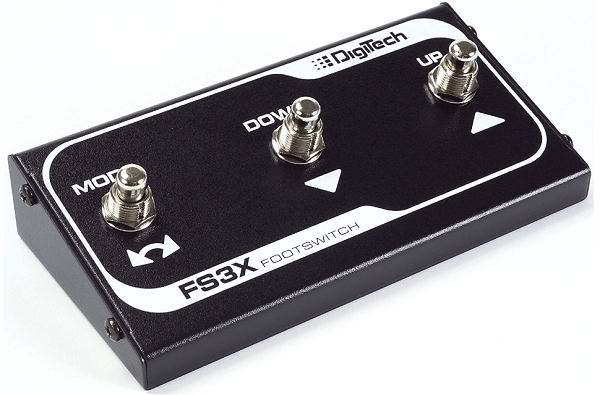 after chatting to a few guitar pedal geeks, i looked at making my own, but the Digitech FS3X Foot Controller was only £21 and looks like it meets my needs perfectly - a nice angled metal box with three buttons on. i ordered an external unit and wire/screw thread. THIS MAY NOT BE NEEDED. SMB share pointing at "videos" drop folder - or even sync to a dropbox folder? mounting the pi inside the case - hot glue gun? Superkitteh! #catsofinstagram » « A few of today’s vinyl choices….